iRealHousewives | The 411 On American + International Real Housewives: Sneak Peek: Nermina Pieters-Mekic Throws A Drink At Ester Dee’s Face! Sneak Peek: Nermina Pieters-Mekic Throws A Drink At Ester Dee’s Face! 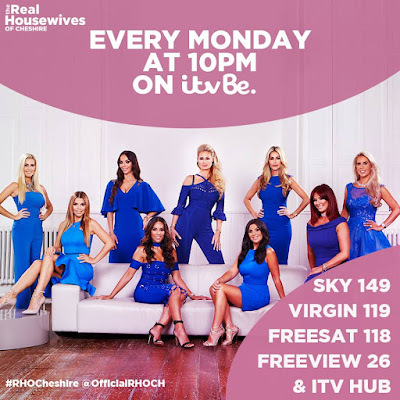 On Monday's all-new episode of The Real Housewives of Cheshire — Tanya Bardsley finally hosts the big Bardsley christening and with everyone dressed up to the nines, tensions come to a head in an unexpected twist. Meanwhile, Dawn Ward confronts Ester Dee over the Tanya/social media rumors. However, things turns for the worst when Nermina Pieters-Mekic gets into it with Ester, causing her to throw a drink at Ester's face. Watch a sneak peek preview below! The Real Housewives of Cheshire airs Monday nights at 10:00pm on ITVBe. For International #RealHousewives TV Listings, click here!